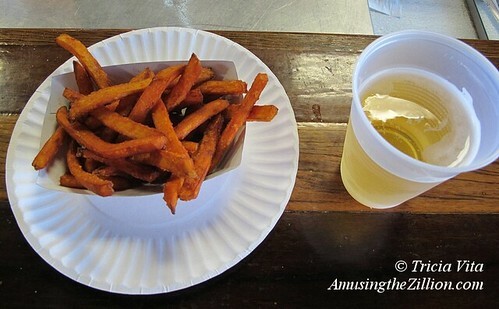 Did you know that Ruby’s Bar & Grill, the legendary watering hole on the Boardwalk, has sweet potato fries on the menu? Neither did we until a few weeks ago. Now it’s our fave after-work snack. Delicious with an ice cold beer at the bar made of vintage Boardwalk wood. Ruby’s remains open through the fall and part of the winter. Check their Facebook page for current hours of operation.